Texas Crop Yields Suffer After Hail Storms | The Voss Law Firm, P.C. According to the Texas Crop Report, published on October 14th by The News Tribune, the storms that hit Texas this year could end up reducing autumn crop yields in some areas of the state. The report showed that many sunflower fields in the Panhandle had hail damage, which is expected to reduce overall yields this year. Corn fields also suffered from hail and wind damage, and yields were predicted to be below average for affected fields. Cornfields that weren’t hit by the hailstorms were averaging 250 or more bushels per acre. Although grain sorghum farmers in Deaf Smith County were predicting above-average yields, grain and sorghum yields in the North were reported to be low to very low. Although some newly planted fields were benefitting from the wet weather, rain and flooding were delaying harvests of corn, cotton, peanuts, and grain sorghum in several regions. 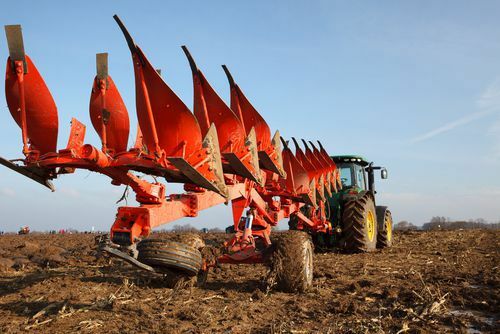 Other Texas regions were suffering from quite the opposite problem, with very dry conditions forcing some farmers to choose between dry-planting winter wheat crops or further delaying planting. Insects—including armyworms, grasshoppers, and Bermuda grass stem maggots—were a threat to crops in some regions. Glasscock County reported sugarcane aphids, which are being carefully watched. Pasture and rangeland were suffering in some regions, but cattle were still in generally good condition. In years like 2015, which has been a roller coaster of severe weather conditions, Texas farmers and ranchers rely on their agricultural insurance to make up for their losses. Unfortunately, they aren’t always able to get a fair resolution for their claims, even for seemingly obvious losses. When agricultural insurance claims for hail damage and other losses are denied or underpaid, it’s important for policyholders to investigate the issue and be proactive in asserting their rights. Whether you own a small family farm or a large agricultural business, you deserve the coverage you have paid for. If you have questions about a denied farm claim, or if you need immediate assistance with a difficult claim, don’t hesitate to reach out to our skilled policyholder attorneys today at 1-888-614-7730 for a free case review. Climate Change Causes Losses for Farm Owners in the U.S.